I am pleased to announce that my colleague Andreas Jahn-Sudmann and I will be co-editing a special issue of Eludamos: Journal for Computer Game Culture on the topic of “Digital Seriality.” Here, you’ll find the call for papers (alternatively, you can download a PDF version here). Please circulate widely! According to German media theorist Jens Schröter, the analog/digital divide is the “key media-historical and media-theoretical distinction of the second half of the twentieth century” (Schröter 2004:9, our translation). And while this assessment is widely accepted as a relatively uncontroversial account of the most significant media transformation in recent history, the task of evaluating the distinction’s inherent epistemological problems is all the more fraught with difficulty (see Hagen 2002, Pias 2003, Schröter 2004). Be that as it may, since the 1990s at the latest, virtually any attempt to address the cultural and material specificity of contemporary media culture has inevitably entailed some sort of (implicit or explicit) evaluation of this key distinction’s historical significance, thus giving rise to characterizations of the analog/digital divide as caesura, upheaval, or even revolution (Glaubitz et al. 2011). Seen through the lens of such theoretical histories, the technical and especially visual media that shaped the nineteenth and twentieth centuries (photography, film, television) typically appear today as the objects of contemporary digitization processes, i.e. as visible manifestations (or remnants) of a historical transition from an analog (or industrial) to a digital era (Freyermuth and Gotto 2013). Conversely, despite its analog pre-history today’s digital computer has primarily been addressed as the medium of such digitization processes – or, in another famous account, as the end point of media history itself (Kittler 1986). The case of digital games (as a software medium) is similar to that of the computer as a hardware medium: although the differences and similarities between digital games and older media were widely discussed in the context of the so-called narratology-versus-ludology debate (Eskelinen 2001; Juul 2001; Murray 1997, 2004; Ryan 2006), only marginal attention was paid in these debates to the media-historical significance of the analog/digital distinction itself. Moreover, many game scholars have tended to ontologize the computer game to a certain extent and to treat it as a central form or expression of digital culture, rather than tracing its complex historical emergence and its role in brokering the transition from analog to digital (significant exceptions like Pias 2002 notwithstanding). 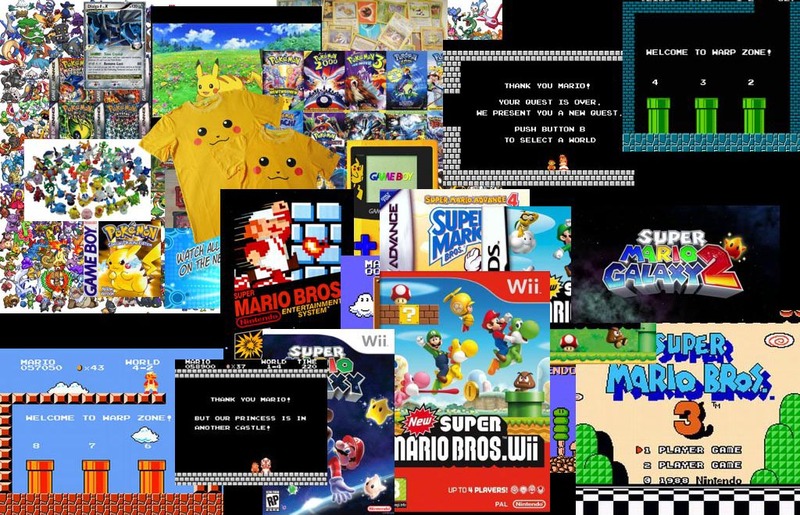 Other media-historiographical approaches, like Bolter and Grusin’s concept of remediation (1999), allow us to situate the digital game within a more capacious history of popular-technical media, but such accounts relate primarily to the representational rather than the operative level of the game, so that the digital game’s “ergodic” form (Aarseth 1999) remains largely unconsidered. Against this background, we would like to suggest an alternative angle from which to situate and theorize the digital game as part of a larger media history (and a broader media ecology), an approach that attends to both the representational level of visible surfaces/interfaces and the operative level of code and algorithmic form: Our suggestion is to look at forms and processes of seriality/serialization as they manifest themselves in digital games and gaming cultures, and to focus on these phenomena as a means to understand both the continuities and the discontinuities that mark the transition from analog to digital media forms and our ludic engagements with them. Ultimately, we propose, the computer game simultaneously occupies a place in a long history of popular seriality (which stretches from pre-digital serial literature, film, radio, and television, to contemporary transmedia franchises) while it also instantiates novel forms of a specifically digital type of seriality (cf. Denson and Jahn-Sudmann 2013). By grappling with the formal commensurabilities and differences that characterize digital games’ relations to pre-digital (and non-ludic) forms of medial seriality, we therefore hope to contribute also to a more nuanced account of the historical process (rather than event) of the analog/digital divide’s emergence. Overall, seriality is a central and multifaceted but largely neglected dimension of popular computer and video games. Seriality is a factor not only in explicitly marked game series (with their sequels, prequels, remakes, and other types of continuation), but also within games themselves (e.g. in their formal-structural constitution as an iterative series of levels, worlds, or missions). Serial forms of variation and repetition also appear in the transmedial relations between games and other media (e.g. expansive serializations of narrative worlds across the media of comics, film, television, and games, etc.). Additionally, we can grasp the relevance of games as a paradigm example of digital seriality when we think of the ways in which the technical conditions of the digital challenge the temporal procedures and developmental logics of the analog era, e.g. because once successively appearing series installments are increasingly available for immediate, repeated, and non-linear forms of consumption. And while this media logic of the database (cf. Manovich 2001: 218) can be seen to transform all serial media forms in our current age of digitization and media convergence, a careful study of the interplay between real-time interaction and serialization in digital games promises to shed light on the larger media-aesthetic questions of the transition to a digital media environment. Finally, digital games are not only symptoms and expressions of this transition, but also agents in the larger networks through which it has been navigated and negotiated; serial forms, which inherently track the processes of temporal and historical change as they unfold over time, have been central to this media-cultural undertaking (for similar perspectives on seriality in a variety of media, cf. Beil et al. 2013, Denson and Mayer 2012, Jahn-Sudmann and Kelleter 2012, Kelleter 2012, Mayer 2013). To better understand the cultural forms and affective dimensions of what we have called digital games’ serial interfacings and the collective serializations of digital gaming cultures (cf. Denson and Jahn-Sudmann 2013), and in order to make sense of the historical and formal relations of seriality to the emergence and negotiation of the analog/digital divide, we seek contributions for a special issue of Eludamos: Journal of Computer Game Culture on all aspects of game-related seriality from a wide variety of perspectives, including media-philosophical, media-archeological, and cultural-theoretical approaches, among others. We are especially interested in papers that address the relations between seriality, temporality, and digitality in their formal and affective dimensions. Intra-ludic seriality: add-ons, levels, game engines, etc. Papers will be due July 15, 2014 and will appear in the fall 2014 issue of Eludamos. Aarseth, Espen. 1999. “Aporia and Epiphany in Doom and The Speaking Clock: The Temporality of Ergodic Art.” In Marie-Laure Ryan, ed. Cyberspace Textuality: Computer Technology and Literary Theory. Bloomington: Indiana University Press, 31–41. Beil, Benjamin, Lorenz Engell, Jens Schröter, Daniela Wentz, and Herbert Schwaab. 2012. “Die Serie. Einleitung in den Schwerpunkt.” Zeitschrift Für Medienwissenschaft 2 (7): 10–16. Bolter, J. David, and Richard A, Grusin. 1999. Remediation: Understanding New Media. Cambridge, Mass. : MIT Press. Denson, Shane, and Andreas Jahn-Sudmann. “Digital Seriality: On the Serial Aesthetics and Practice of Digital Games.” Eludamos. Journal for Computer Game Culture 1 (7): 1-32. http://www.eludamos.org/index.php/eludamos/article/view/vol7no1-1/7-1-1-html. Denson, Shane, and Ruth Mayer. 2012. “Grenzgänger: Serielle Figuren im Medienwechsel.” In Frank Kelleter, ed. Populäre Serialität: Narration – Evolution – Distinktion. Zum seriellen Erzählen seit dem 19. Jahrhundert. Bielefeld: Transcript, 185-203. Eskelinen, Markku. 2001. “The Gaming Situation” 1 (1). http://www.gamestudies.org/0101/eskelinen/. Freyermuth, Gundolf S., and Lisa Gotto, eds. 2012. Bildwerte: Visualität in der digitalen Medienkultur. Bielefeld: Transcript. Glaubitz, Nicola, Henning Groscurth, Katja Hoffmann, Jörgen Schäfer, Jens Schröter, Gregor Schwering, and Jochen Venus. 2011. Eine Theorie der Medienumbrüche. Vol. 185/186. Massenmedien und Kommunikation. Siegen: Universitätsverlag Siegen. Hagen, Wolfgang. 2002. “Es gibt kein ‘digitales Bild’: Eine medienepistemologische Anmerkung.” In: Lorenz Engell, Bernhard Siegert, and Joseph Vogl, eds. Archiv für Mediengeschichte Vol. 2 – “Licht und Leitung.” München: Wilhelm Fink Verlag, 103–12. Jahn-Sudmann, Andreas, and Frank Kelleter. “Die Dynamik Serieller Überbietung: Zeitgenössische Amerikanische Fernsehserien und das Konzept des Quality TV.” In Frank Kelleter, ed. Populäre Serialität: Narration – Evolution – Distinktion. Zum seriellen Erzählen seit dem 19. Jahrhundert. Bielefeld: Transcript, 205–24. Juul, Jesper. 2001. “Games Telling Stories? – A Brief Note on Games and Narratives.” Game Studies 1 (1). http://www.gamestudies.org/0101/juul-gts/. Kelleter, Frank, ed. 2012. Populäre Serialität: Narration – Evolution – Distinktion: Zum seriellen Erzählen seit dem 19. Jahrhundert. Bielefeld: Transcript. Mayer, Ruth. 2013. Serial Fu Manchu: The Chinese Supervillain and the Spread of Yellow Peril Ideology. Philadelphia: Temple University Press. Murray, Janet H. 1997. Hamlet on the Holodeck: The Future of Narrative in Cyberspace. Cambridge: MIT Press. Murray, Janet H. 2004. “From Game-Story to Cyberdrama.” In Noah Wardrip-Fruin and Pat Harrigan, eds. First Person: New Media as Story, Performance, and Game. Cambridge, MA: MIT Press, 2-10. Pias, Claus. 2002. Computer Spiel Welten. Zürich, Berlin: Diaphanes. Pias, Claus. 2003. “Das digitale Bild gibt es nicht. Über das (Nicht-)Wissen der Bilder und die informatische Illusion.” Zeitenblicke 2 (1). http://www.zeitenblicke.de/2003/01/pias/. Schröter, Jens. 2004. “Analog/Digital – Opposition oder Kontinuum?” In Jens Schröter and Alexander Böhnke, eds. Analog/Digital – Opposition oder Kontinuum? Beiträge zur Theorie und Geschichte einer Unterscheidung. Bielefeld: Transcript, 7–30. If the medium is the message, as Marshall McLuhan famously claimed, then the so-called “selfie” may be less about the face that constitutes the recognizable content of such an image, and more about a deeper, less obvious form of material-aesthetic mediation with respect to the transformation of “self” in an age of ubiquitous post-cinematic cameras. Clearly, such acts of mediation have many levels. On the one hand, we “stage” or “perform” our selves for ourselves and for our friends (and, of course, for our Facebook “friends”); at the same time, though, we do so with an awareness of the machinery of geolocated surveillance and algorithmic facial recognition systems that we feed and help to optimize with the offering of our selfies (and the metadata they contain). Is this a self-destructive tendency or an act of defiance? Do we taunt and shake our fists at the invisible all-seeing God of Hyperinformatic Imagery (or the NSA), heroically though baselessly asserting our autonomy despite our knowledge of its baselessness? Or is it just that we have resigned ourselves to the new “situation,” in which Berkeley’s maxim esse est percipi has been made a reality through a media-technical dispositif that renders superfluous the whole apparatus of angelic and divine perceptions that Bishop Berkeley still needed to keep his system from falling apart? Above, my own mixed-media “reflections” on the problem of the selfie in the age of metabolic modulation. Featuring artworks by Thomas Böing (Ohne Titel [Museum König], 2006), currently on display at the impressive Kolumba — Art Museum of the Archdiocese of Cologne as part of the exhibition “show cover hide. Shrine. An exhibition on the aesthetics of the invisible,” which runs until August 25, 2014.